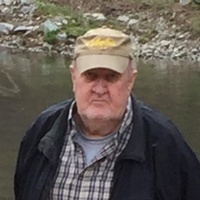 Charles Billy Goforth, age 73, of Dalton, Georgia, departed this life, Sunday, February 10, 2019 at his home with his family at his side. Billy was born June 1, 1945 in Dalton, Ga. He was a truck driver for many years at Mohawk Industries. He was preceded in death by his mother and step-father, Essie Lou Goforth and Harlan Welch; his daughter, Wanda Goforth; son-in-law, Bill Bradford; brothers, Clyde “Tubby” Foster, Junior “Poncho” Welch; sister, Bennie Ruth Bruce; and grandparents, Zack and Arcie Goforth. He is survived by his wife, Attica McDaniel Goforth of the residence; former wife and best friend, Ruby Janelle Burnette of Dalton, Ga.; daughters, Juanita Goforth (Bryon “Redneck” Sanford) of Dalton, Ga., Linda Goforth Bradford of Calhoun, Ga.; sisters, Jean (Keith) Newton, Diane (Vernon) Davis, Kay (Freddy) McClure; brother, David Welch all of Ellijay, Ga.; sisters-in-law, Mary Lou Foster of Dalton, Ga., and Annette Reece of Ellijay, Ga.; step-daughter, Tammy Griffith of Whitwell, Tn. ; step-son, Johnny Griffith of Hazel, Al. ; grandchildren, Charles David Goforth of Chattanooga, Tn., Heather Powell (Justin Davis) of Dalton, Ga., Cheyenne Bradford (Hunter McClure) of Calhoun, Ga., Camron LaRue, Morgan and Hunter Sanford all of Dalton, Ga.; great-grandchildren, Piper Davis, Oaklynne Bradford; step-grandchildren, Brittany Griffith, Trish Womack, Johnny Griffith, III, Colton Griffith, Anthony Bradford, Heather Bradford, Chris Bradford; step-great-grandchildren, Gavin Bradford, Jalynne Petrina, Macey Bradford, Mason Bradford, Christian Bradford, Javon Patrick, John Patrick, Aubrey Womack and Braylen Spangler; special friends, Justin Stroud, Mitch McClure and the Hardee’s breakfast crew; and several nieces and nephews. Special thanks to Hamilton Medical Center and Hamilton Hospice. Services to celebrate the life of Charles Billy Goforth will be held Wednesday, Feb. 13, at 2 p.m. at Ponders Melrose Chapel with his grandson, David Goforth and Reverend Jeff Wilson officiating. He will be laid to rest at West Hill Cemetery. The family will receive friends at Ponders Melrose Chapel from 5-9 p.m. Tuesday, Feb. 12, and after 12 p.m. Wednesday, Feb. 13, until the service hour. Flowers will be accepted or donations made be made to Hamilton Hospice in honor of Billy Goforth. Arrangements are by locally owned and operated Ponders Melrose Chapel, Dalton, GA. (706) 226-4002.